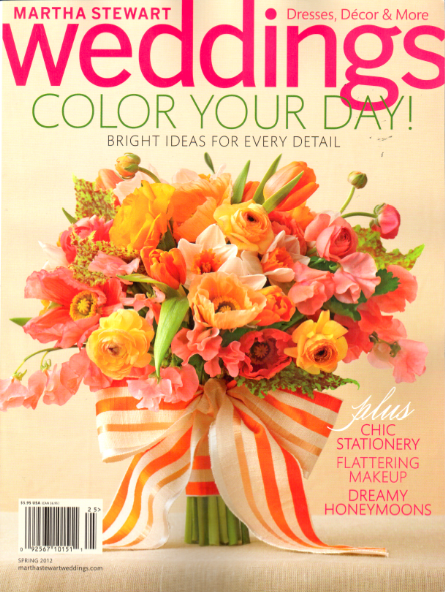 CAKEWALK BAKE SHOP: Our Wedding in Martha Stewart Weddings! 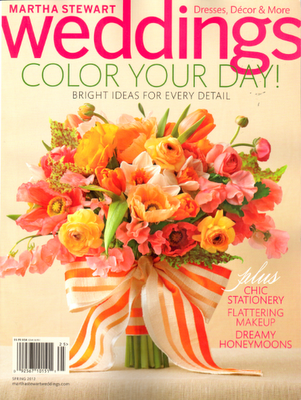 Our wedding was featured in the Spring 2012 issue of Martha Stewart Weddings magazine! 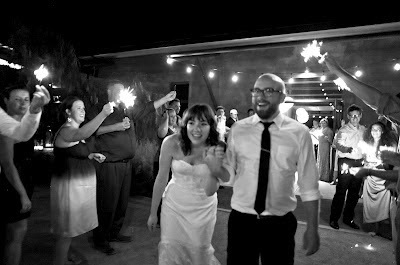 In addition to reading about our Real Weddings story, you can check out this sweet slideshow from the Martha site. I can't believe it has almost been a year since our joyous wedding in Marfa, TX. I'm so excited to be involved in a new career where I can help other brides fulfill their creative vision and add some extra sweetness to such an amazing day. I'd love to share a little peak into the big love fest that was our desert-magic-themed Marfa wedding. 1. Our invitation suite, inspired by papel picado flags, was designed by Southern Fried Paper. 2. & 3. Crisman Keeling Liverman, a dear friend and artist, created the sweetest "here comes the bride" banner for my two flower girls to carry in our processional. He also painted the wooden wedding signs for me and assisted Alicia Rico with our flowers. What a guy! 4. My mom and I created the "yeehaw" flags using a custom stamp, fabric pieces, dowels, and twine. Each guest received one along with their program and waved them in celebration during our recessional. 5. Our wedding favors and guest place cards were salvaged horseshoes that were crocheted over in multicolored yarn by Telegram. Colby and I originally purchased one of these at the Telegram shop in Tucson on the roadtrip we got engaged on. 6. Alicia Rico of Bows and Arrows provided all the jaw-dropping gorgeous flowers for the wedding. The table arrangements displayed amazing found bottle collections that included mason jars, topo chico bottles, medicine bottles, and funky vintage glassworks. Succulents and cacti were mixed with bright sunset colored flowers, proteas and thistles for an eccentric celebration of color and place. 7. 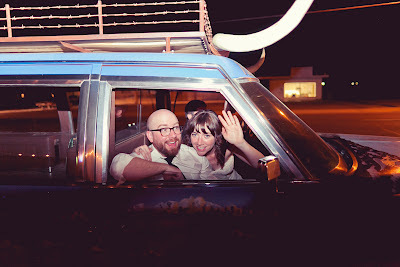 We rode off into the night in the most amazing West Texas-themed vehicle that possibly exists. An old hurst that has been painted over in vibrant west Texas murals, with longhorns and barbed wire accents. 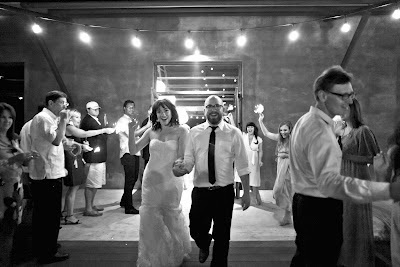 It was truly incredible and the perfect ending to our funky Marfa wedding. The car is available through Stuff shop in Marfa. 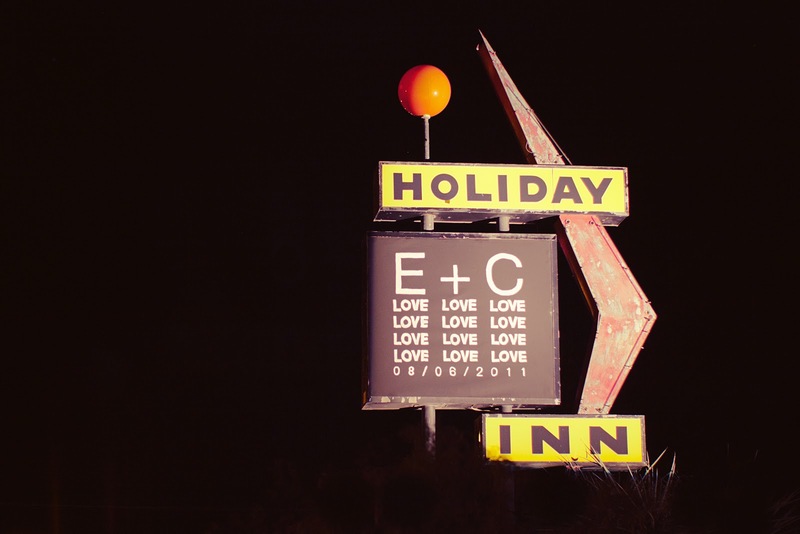 *The sign* Colby designed the "E+C" sign and Rob Crowley of Marfa painted and installed it. It hung in an old Holiday Inn sign that has been preserved on the property and was visible to guests at our ceremony, as well as anyone driving down Hwy 90. 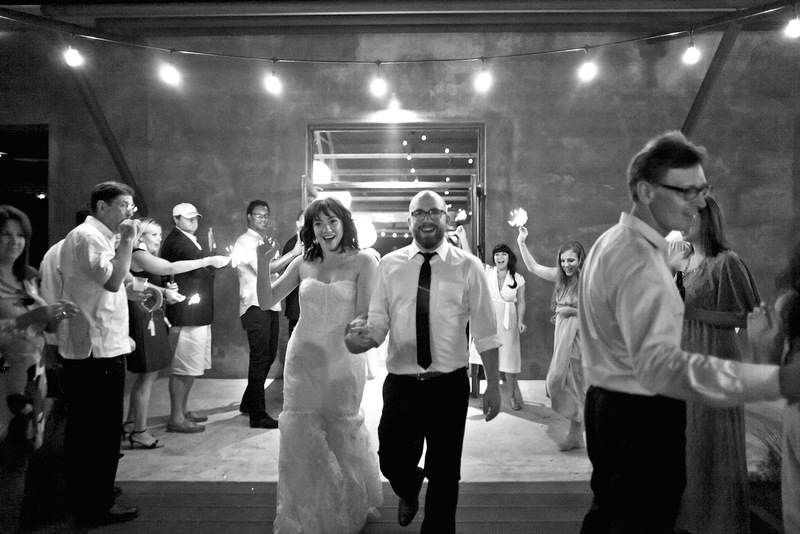 All these beautiful images were taken by the talented Natalie Shelton of NBarrett Photography.